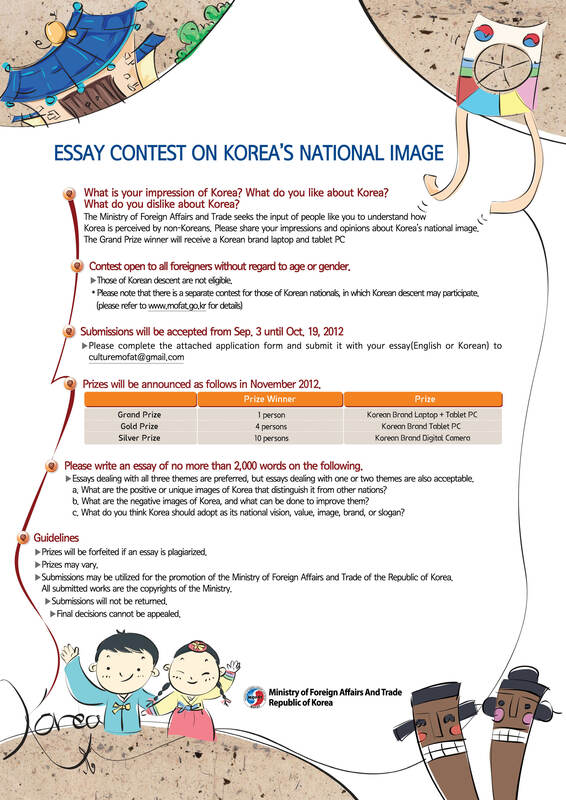 In October I entered an essay competition organised by the Ministry of Foreign Affairs and Trade in Korea. The competition sought to find out what foreigners thought was Korea’s national image. I entered, you’ll be happy to hear, but not because of some overwhelming desire to share my thoughts on what made Korea Korea, more because top prize was a new computer, and I fancied my chances. So I dutifully brainstormed a notion and worked away on the essay, then forgot about it, then remembered about it, and of course I waited until the last minute to submit it.